Common symptoms of plantar fasciitis and heel spurs are excruciating pain when you first get out of bed or when you stand following a period of rest. It can also result in arch pain in the foot after you have been standing for a long time. When the foot collapses inwards we see elongation of the foot and “stretching” of the muscle under the foot. Bunions can get excessively worse over time. Bunions are not necessarily hereditary but they do get worse the longer you leave them. There are a number of things we can do to alleviate pain. Flat feet in adults can result in excessive forces been placed on the heels, arches, ankles, shins, knees, hips and lower back. Poor foot posture can result in chronic pain in these areas. It can also affect upper body posture. With an aging populations and people living longer this condition is one of the most common causes of immobility and pain in aging adults. Book an assessment today to see how we might be able to assist. This is one of the most common causes of knee pain. The patella is floating bone that needs to “track” correctly on the thigh bone underneath. Any foot movement in a closed chain situation (when the foot is on the ground) will move the shin bone, thigh bone and the patella. Incorrect foot mechanics has an immediate effect on the knee and patella. Most shin splints occur on the inside of the shin, also known as Medial Tibial Stress Syndrom, however shin pain down the front of the shin or even on the outside of the shin/calf are not uncommon. They are often due to biomechanical anomalies that result in overuse injuries. Assessing the way you walk or run is necessary to determine the cause and provide a treatment protocol. All these conditions cause pain and/or numbness in the ball of the foot and toes. 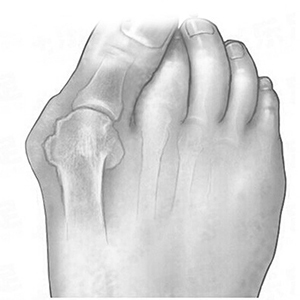 Mortons Neuroma is an entrapment of the intermetatarsal nerve. It results in numbness and burning in the ball of the foot and can extend into the toes. Plantar plate tears are tears in the ligaments that go from the larger boot bones to the smaller ones. The cause of chronic lower back pain is varied. Chronic back pain in not usually caused by trauma and has developed over a period of time. If one foot functions differently to the other your pelvis will rotate unevenly, if you have a short leg the pelvis and lower back will not be “straight”, if both feet collapse inwards we often see forward rotation of the pelvis and increased lumbar strain. Having an assessment will enable us to assess if your lower back pain could be coming from poor lower limb posture. 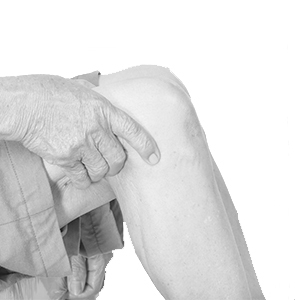 Chronic hip pain can be caused from poor foot mechanics, a short leg or bad footwear choices. Assessing the way you walk can give us vital information as to the irregularities in your movement that may be causing excessive strain in one area. A leg length difference can be structural (short bone) or it can be functional (abnormal muscular forces or pelvic positioning). Treating a short leg needs to be done correctly.